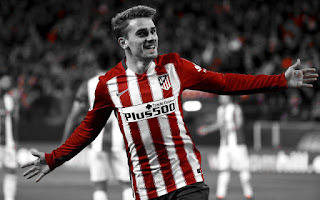 Arsenal are planning a bid for Atletico Madrid superstar Antoine Griezmann, according to widespread reports. It is believed that the Gunners will launch an £85 million for the 2016 Ballon D'Or nominee by the time the summer transfer window opens. The release clause in Griezman is an enormous one. However, we will all agree he is a player of great talent considering his position on the current Best Player ranking by France Football. I do not see this deal going through because first of all, Arsenal will not pay that much for just one player and besides, losing Alexis in the deal is not something they will want.